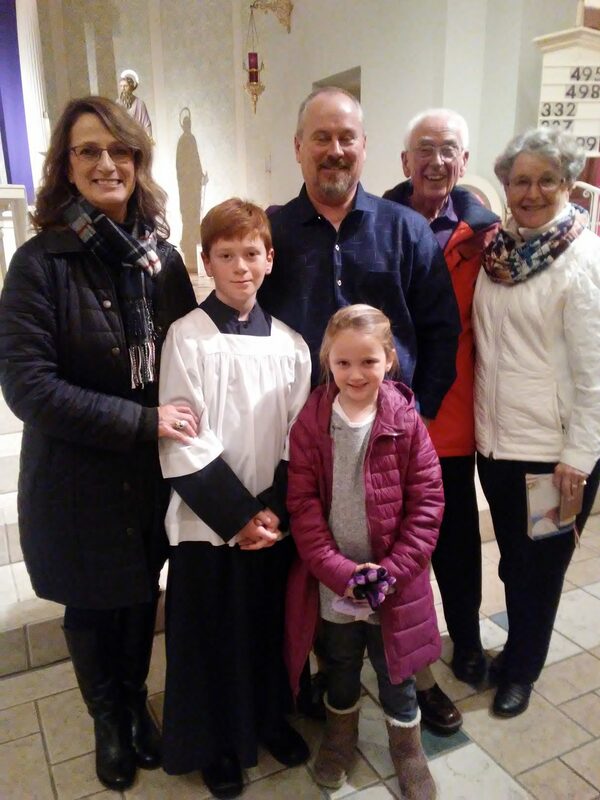 On December 8th, 2018, Mark & Connie Scheld, accompanied by Mark’s parents, Ernest & Mary Scheld, had the honor of seeing their youngest son* serve Mass for the first time. Since that day, he has served Mass frequently, advanced in his training for the various serving roles, and is eager to learn and do more. All boys and young men of the parish, who have received their 1st Holy Communion, are eligible to become members of Our Lady’s Knights of the Altar, a Mass Servers Apostolate founded by the Franciscan Friars of the Immaculate. For further information on becoming an Altar Server, Please Click Here.